We are looking for Stewardess for a private 32 meter yacht. 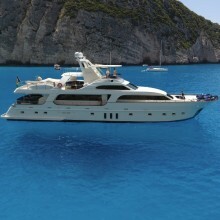 The boat is in Greece now and will spend the summer in Italy and France. Stewardess should be prepared and willing to be multitasking between standard cabin cleaning, cooking, serving as well as helping docking and undocking the boat. The boat is private and not a busy charter boat so the work load is not as much as on busy charter boat. There is total of 4 crew including the Stewardess. Position is open between 15th of April and 1st of October, transportation to and from the boat is paid by us. Living expenses on board are paid by us. Please do not send CV if you do not have experience at least 1 full season living on a boat and having worked on this position, we have too bad experience with candidates who never worked the job and find it charming and want to try and after few weeks realize this job is not for them. We need somebody with at least 1 season experience.